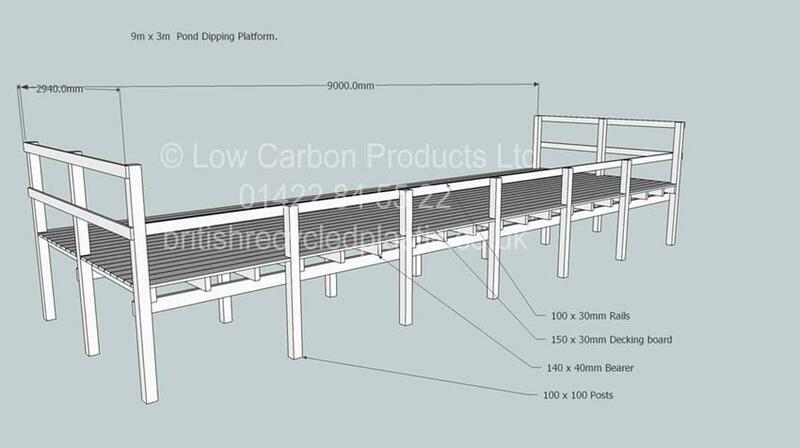 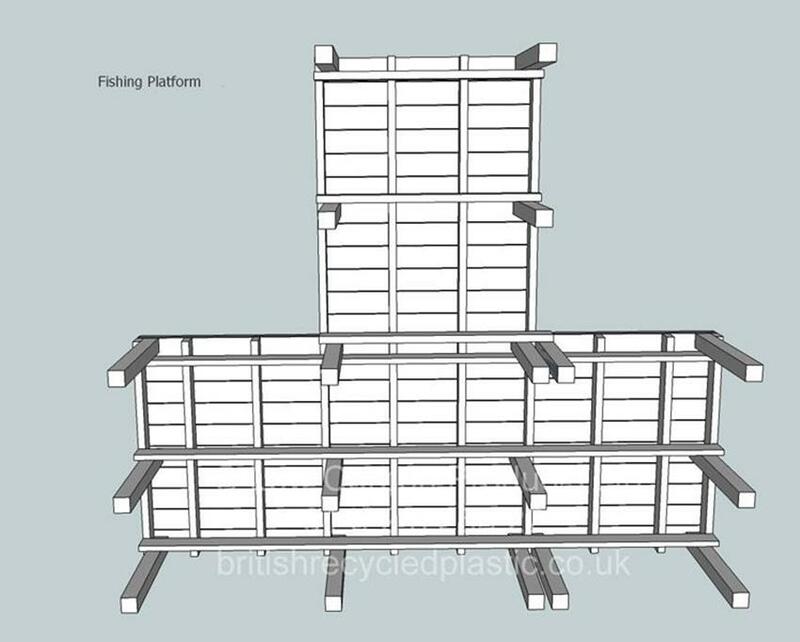 Looking for fishing pegs or pond dipping platforms? 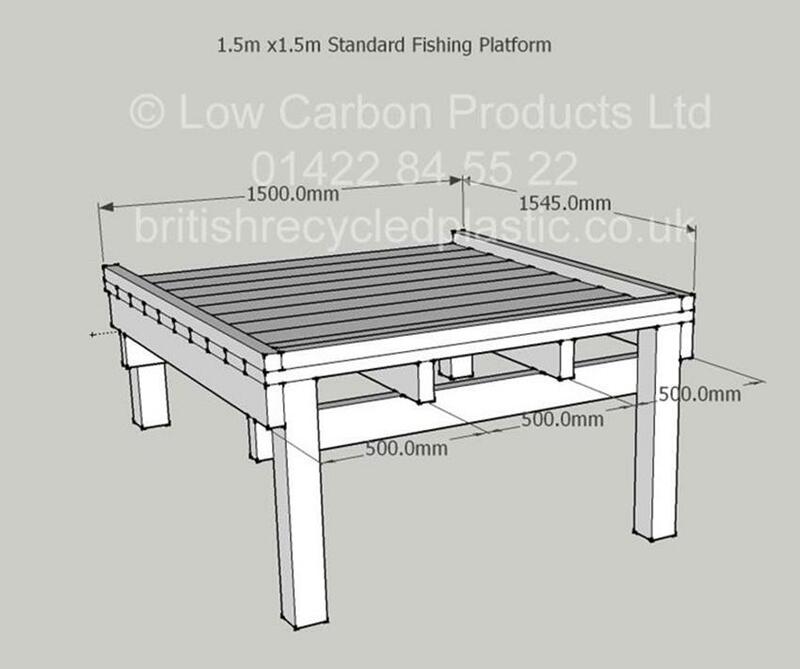 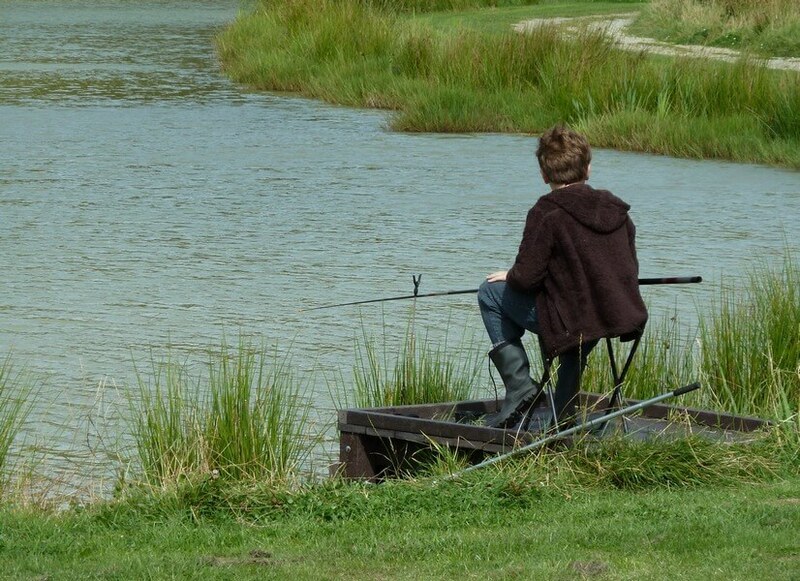 Our recycled plastic fishing pegs and pond dipping platforms will not rot, split, splinter, leach into the environment or need painting, so they are the ideal installation for a long lasting, maintenance-free addition to pond or angling lake. 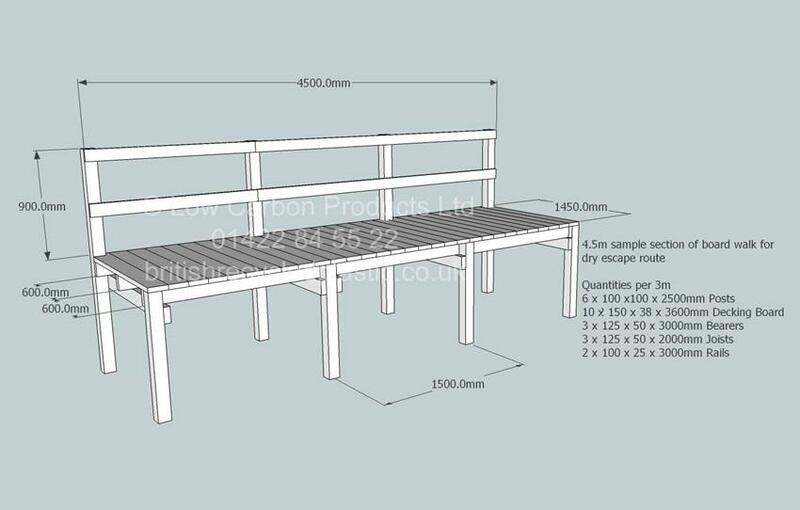 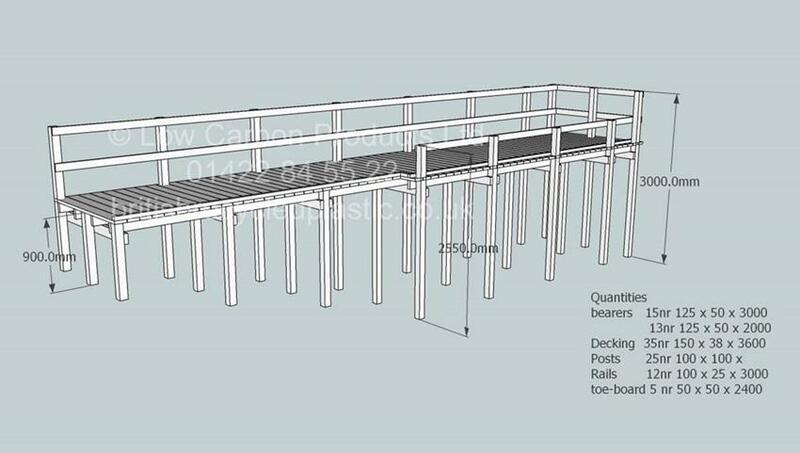 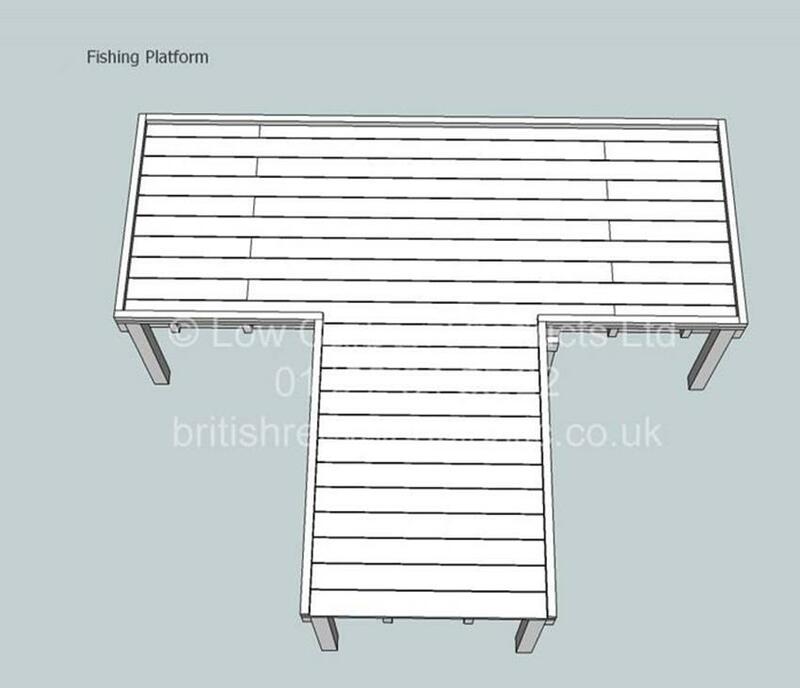 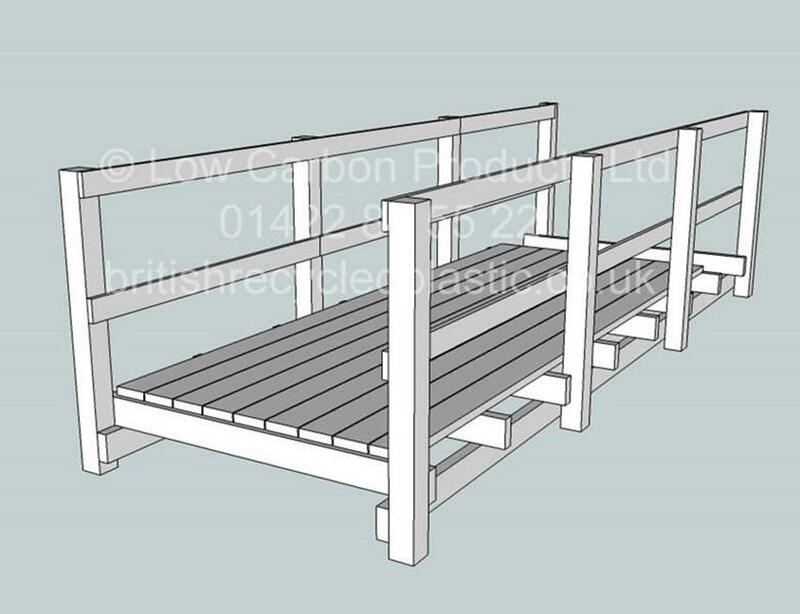 We do not supply pre-fabricated kits for fishing pegs, pond dipping platforms or other structures as there are too many individual variables. 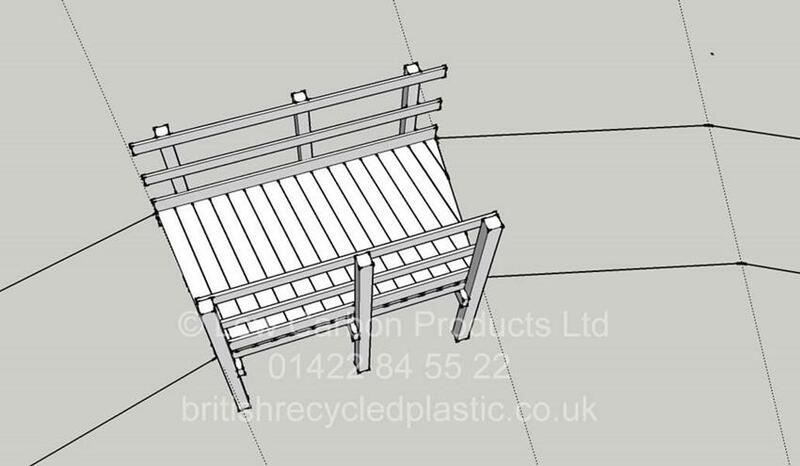 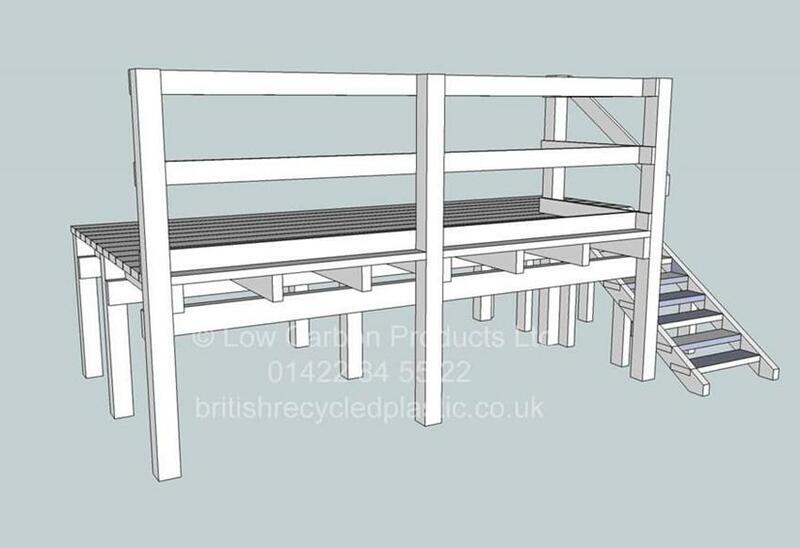 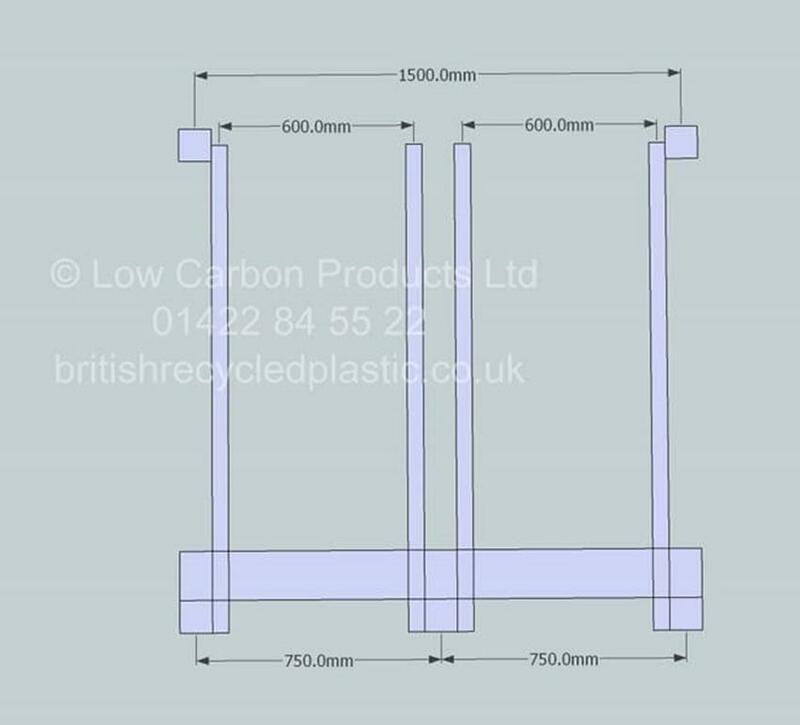 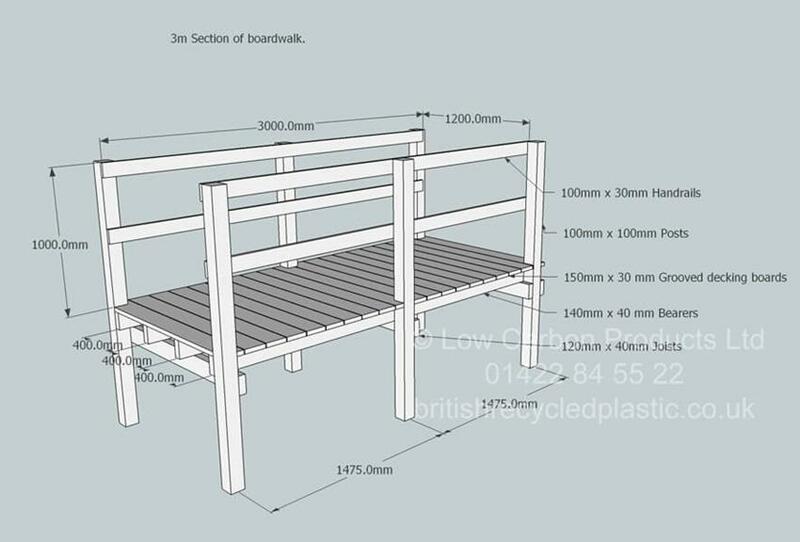 However, they are just as simple to fabricate from recycled plastic as they are from timber and are well within the capabilities of anyone with basic joinery skills. 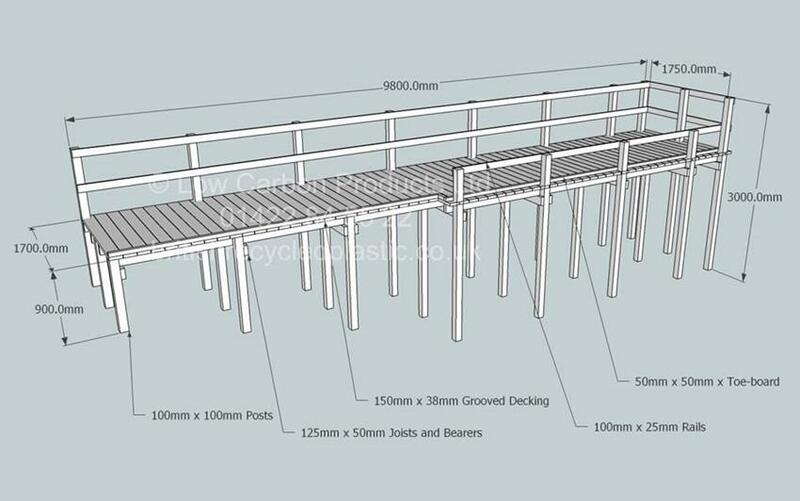 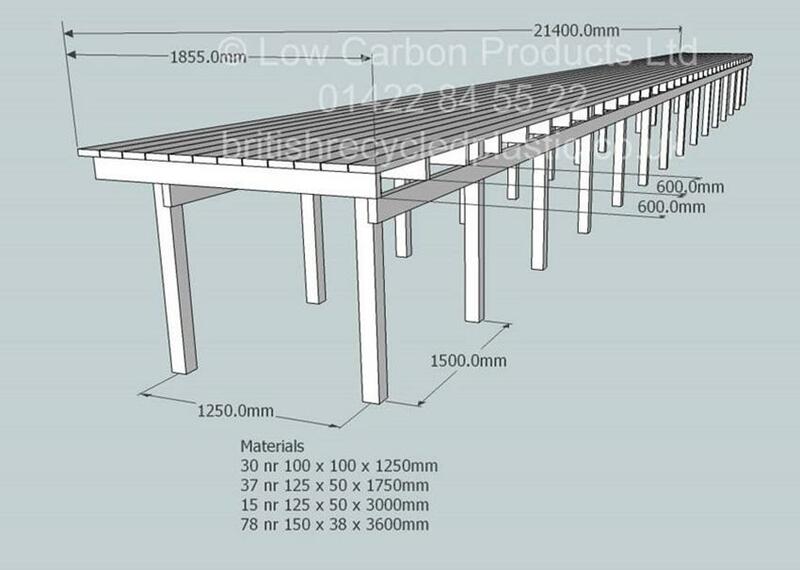 The main things to remember, (other than that they will never rot, split, splinter or decay), is that posts should use 100x100mm sections and the the decking boards used as the top surface should always be placed parallel to the bank if used over water. 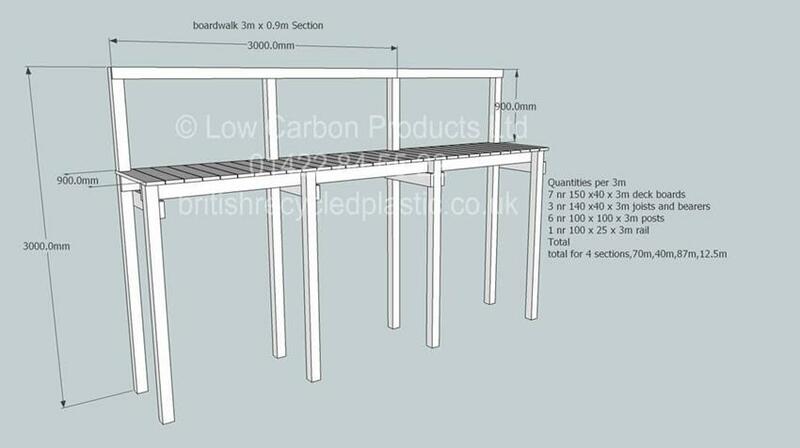 Posts should also be no more than 1500mm apart either. 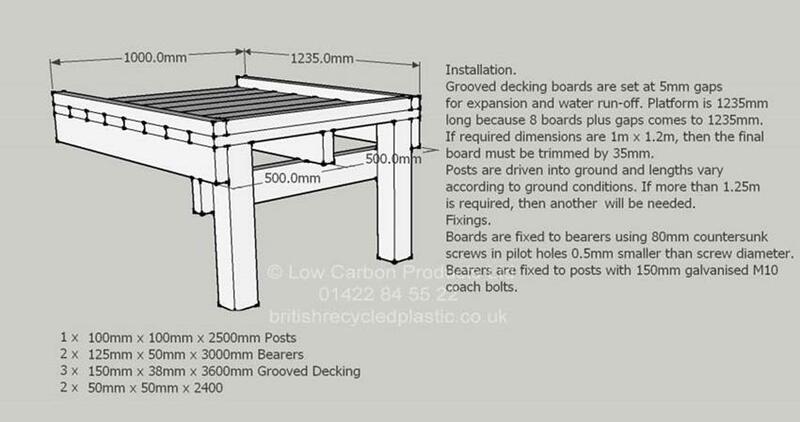 For cutting and drilling, use bits and blades that are suitable for hardwood and keep speeds of power tools at their low settings. 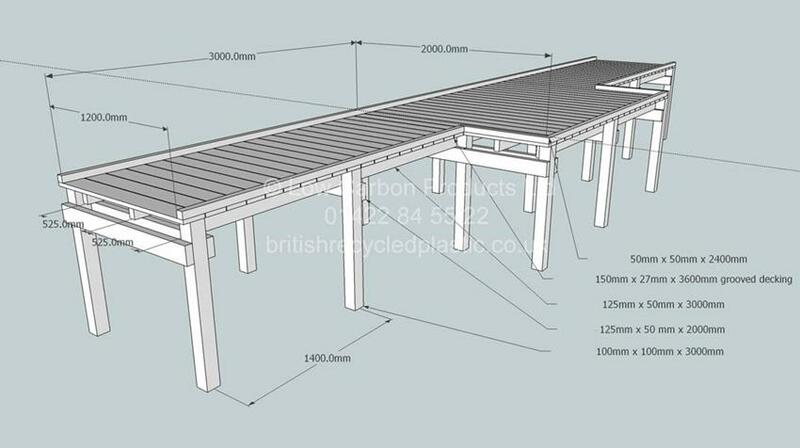 For ideas and inspiration, take a look at our drawings at the base of this page. 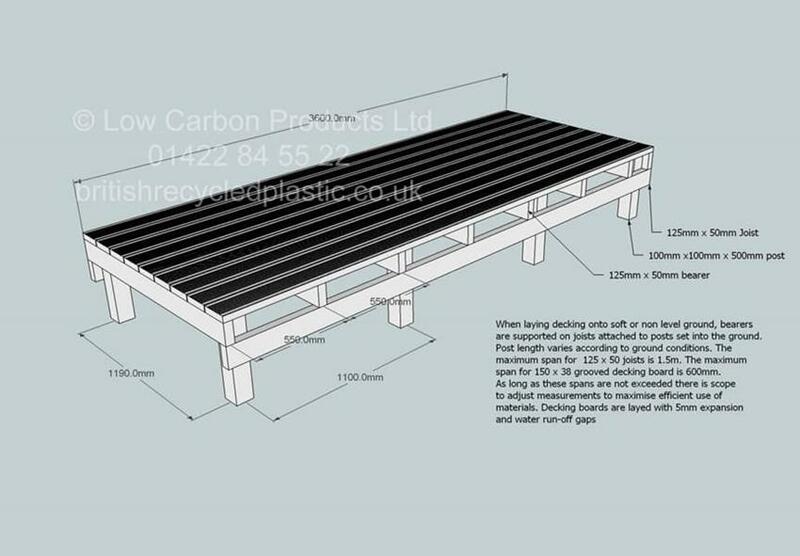 This is a major repair and rebuild to an existing platform using recycled plastic. 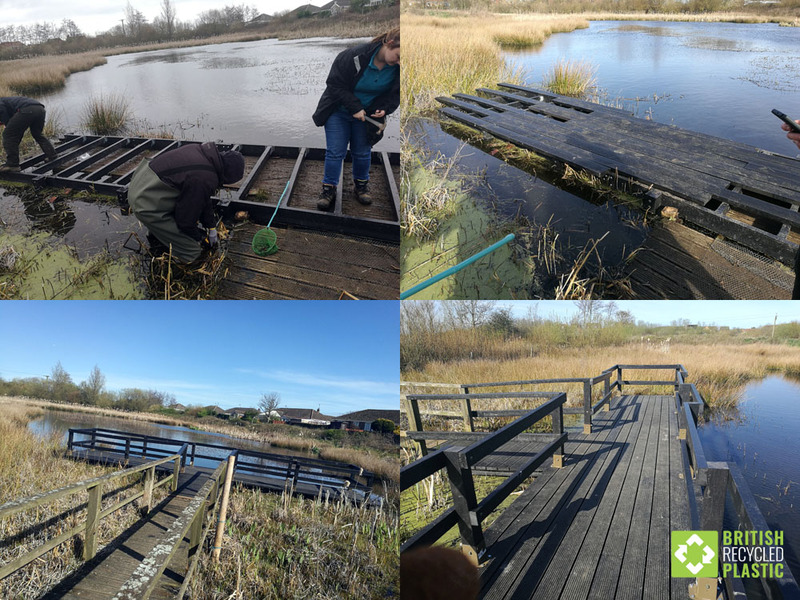 Conservation volunteers building a pond dipping platform from recycled plastic.